Room and bad to dirty and smelli than we book another hotel we went there (holidayinn) Hotel I don't call hotel. Animals living in batter place than this hotel. I don't get money back what I pay it. I said to everyone don't book by any mistakes don't don't!!!!!!! The hotel is located in a very dirty area, much further from the airport than advertised. The hotel staff wasn't very welcoming. The room, was very small, which was OK with my, but the bathroom was shockingly dirty. It may be the case of "you get what you paid for", but I did stay at $30/night hotels in other countries and didn't expect such poor conditions in this hotel. The only thing about this hotel is it's location - very close to DEL airport. We have book this hotel for one night so that we could spend our 18hrs transit in Delhi to catch our next flight to Mauritius. Facilities are proportional to what we paid, but I think only here they need to improve. Otherwise it's a good place for group of people to pass little bit time to freshen up themselves and go out for site seeing around New Delhi and Old Town. We only stayed for a few hours overnight before an early flight. If you need a clean but basic place, this is quite good.I had a shower, slept and keft at 6am. It served its purpose well for a few hours!Staff. The desk manager. 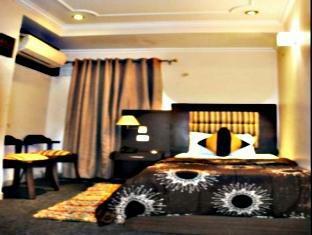 Comfortable beds n decent sized family room. Bathroom complete with shower curtains. Very close to airport. Good Budget option for transit. Hotel metro tower location is good and clean rooms .Hotel entrance is good and decent staff .They offer a good room for 2 person .It really a safe stay for a lady also.I ask for dinner they offer me good food in room.Internet is free .i want some print out hotel arrange without any cost . 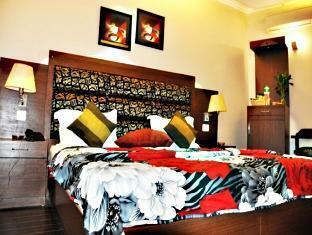 Convenient location that's 5 minutes from airport. 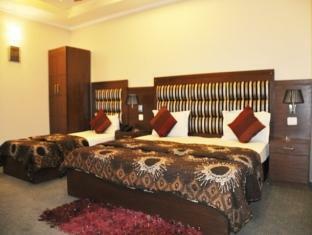 Hotel was relatively clean and fairly large rooms. Only slept over night there so didn't get the chance to use facilities. 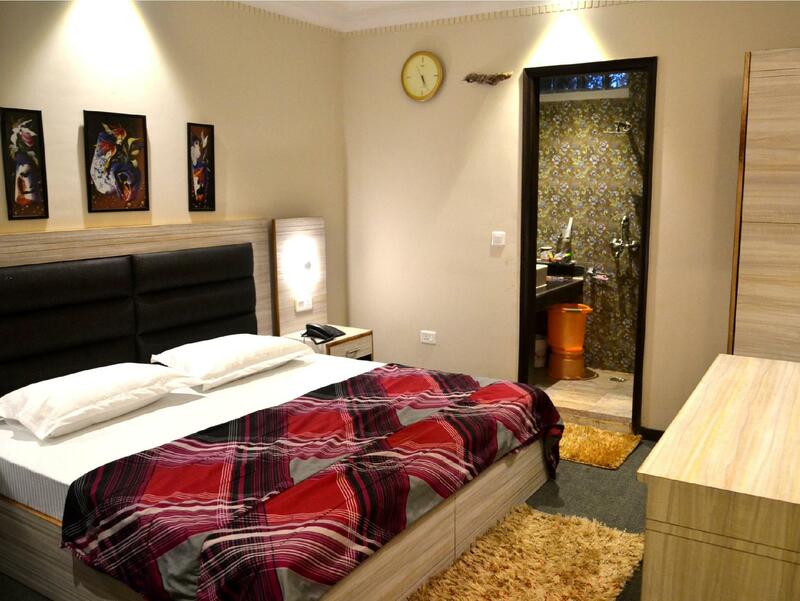 I book this hotel via agoda.Hotel is close to vasant kunj.My uncle is stay in this area .I like our stay .All room is AC and hot water available.Hotel is neat and clean rooms.I ask.for taxi to vasant kunj .They suggest me ola is reasonable Comfortable bed and sitting is also in room . I was not expecting much due to the price but there is not excuse for it being unclean. Previous occupants hair was about the floor, the toilet having no seat and badly stained. The dirty curtains are nailed to the window frames. Due to the unhygienic conditions i declined the complimentary breakfast! no window in the room (very humid), wi-fi available only in the lobby, korean restaurant and market neaby the intersection. we pay 2 taxi to the airport about 1000RP at 3am. it's very expensive in India currency. they don't change the bed cover. the previous customer's socks in the bed cover....it's terrible experience. The staff was good, rooms were clean but there is some foul smell coming in hotel. สถานีรถไฟใต้ดิน Delhi Aero City - ระยะ 1.12 กม.